The Hippocratic Corpus comprises some sixty medical works of varying length, style and content. Collectively, this is the largest surviving body of early Greek prose. As such, it is an invaluable resource for scholars and students not only of ancient medicine but also of Greek life in general. context is provided not just in relation to the corpus as a whole but also to the work’s wider relevance. Whereas the scholar or student approaching, say, Euripides or Herodotus has a wealth of books available to provide introduction and orientation, no such study has existed for the Hippocratic Corpus. 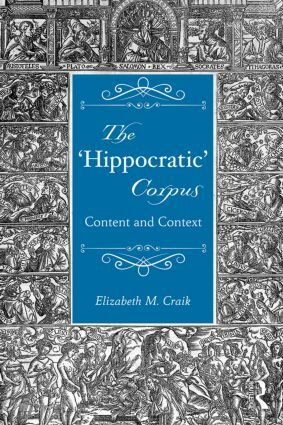 As The ‘Hippocratic’ Corpus has a substantial introduction, and as each work is summarised for the reader, it facilitates use and exploration of an important body of evidence by all interested in Greek medicine and society. Elizabeth Craik is Honorary Professor at University of St Andrews and Visiting Professor at University of Newcastle, UK. Dieb. Iudic. See Iudic., Dieb. Iudic. Nat. Pue. See Genit., Nat. Pue. Salubr. See Nat. Hom., Salubr.